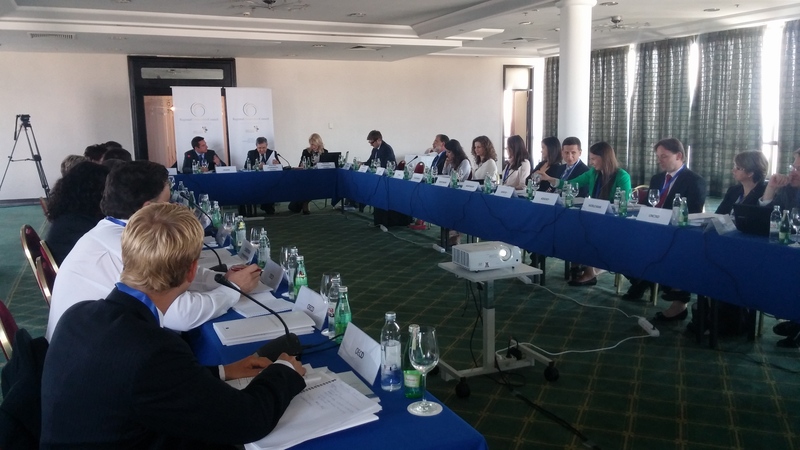 The South East Europe Investment Committee (SEEIC) met in Zagreb on 26 June to discuss a range of issues dealing with the economic growth in the region. Co-organised by the Regional Cooperation Council (RCC) and the Ministry of Economy of the Republic of Croatia, the meeting took note of the full integration of the SEEIC into the structures of the RCC. This change will take effect on the 1 July this year and will be an important step in the full regional ownership of the Committee and its work. The participants also adopted the SEEIC Work Plan and the Regional Action Plan, both aligned towards the implementation of the SEE 2020 Strategy priority measures. Also agreed was a concerted effort to continue mobilizing the activities and resources of the involved economies and regional partners in the implementation and monitoring of the SEE 2020 Strategy. Measures were discussed on ways and means to conduct an investment policy review and to coordinate the programme together with United Nations Conference on Trade and Development (UNCTAD) and International Finance Corporation (IFC)/World Bank in order to improve the investment climate in South East Europe. Discussions will continue on how best to address the skills gap and education and training within the two priority sectors of the SEE 2020: food and beverages processing, and tourism.